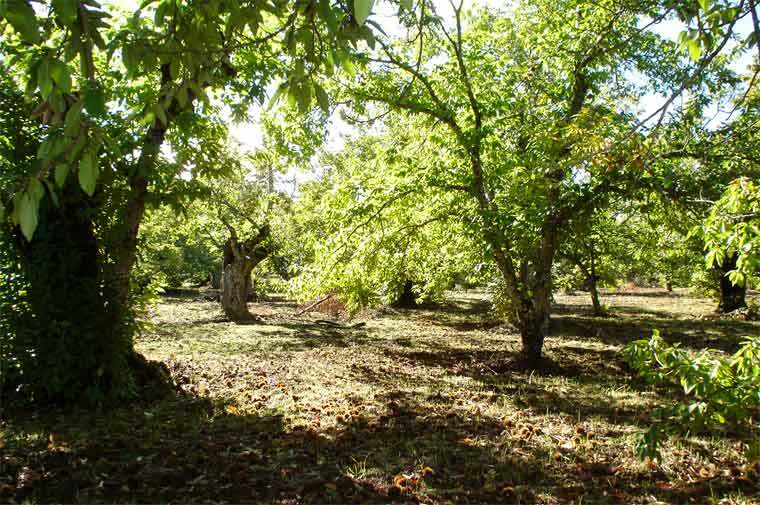 Our forests are made up of chestnut trees which are one of the richest ecosystems in Andalucía, and are an exemplary model of respect and balance with the environment. 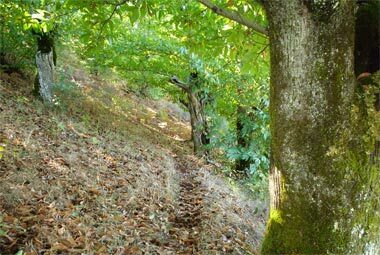 These precious landscapes chestnut, occupy the top and steep mountains south of the Natural Park Sierra de Aracena and Picos de Aroche. They are particularly widespread in Fuenteheridos, Galaroza, Los Marines, Castaño del Robledo and Aracena. 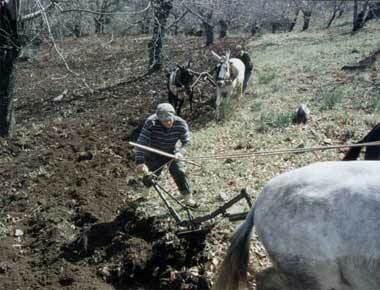 In the fields of the Sierra de Aracena (Huelva), disappear and winter frost starts to rain heavily. The resencio of the aurora cools grass, which grows with force now. Pigs can eat in the meadow and move ahead to their offspring. Salen typical mushrooms from the mountains (gurumelos, gallipiernos, pinateles), all flourishes and the farmer sees in it the surest proof of overcoming the sterile winter, as well as the hope that the fruits mature between summer and autumn. 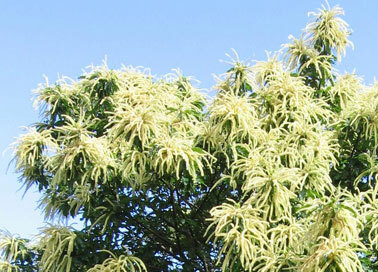 Little by little brown dresses with their thick foliage of green so intense that in June also stained yellow enhiestas their long and twisted. Unlike what happens in most of Europe, the Mediterranean regions in the field seems to die under the torrid heat of summer. Desaparece runoff unleashed by the recent spring rains, the banks and streams are dry. The herbs and flowers left by the spring wither and die, leaving empty the dusty ground. The chestnut emerge from its long Ament and life seems to go into a deep torpor. But the slump is only apparent, trees and shrubs finished flowering, its fruits ripen now emerging as the autumn harvest. The first autumnal rains cool the atmosphere and soak the soil bare. 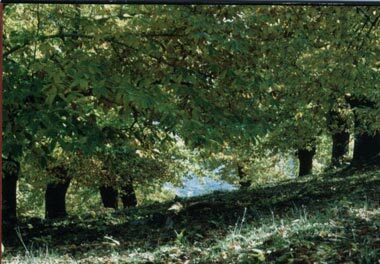 The move chestnut color of their leaves, and drop lazy and amarillas finally starts collecting his precious and exquisite fruit (the chestnut). Produce different varieties: Pelon, Wide-Alájar, Helechal, Dieguina or Vazquez, and so on. 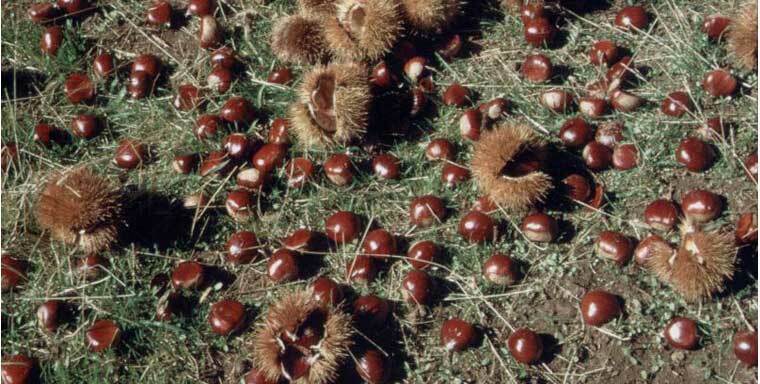 The collection or apaño of chestnuts, which falls wrapped in a shell pinchuda called hedgehog, takes place in november and first half of december. Usually involve the whole family. 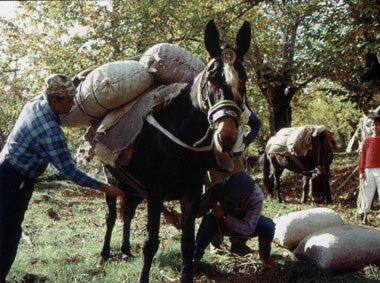 While women and children are concentrated in the collection, men are in charge of transport, some with mules and other cars in the entire field. 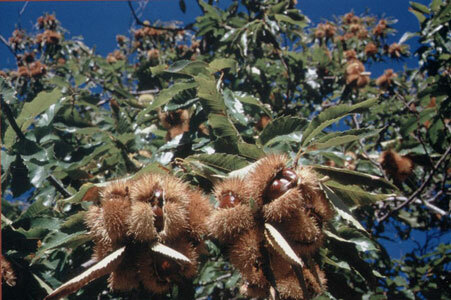 The chestnuts are usually eaten raw or roasted in the fireplace (tostones or escafotes). Sometimes, to keep them longer, stretching into a kind of splint or brambles provisions where smoke high and dry in the heat of the candles that are lit underneath. This will become the popular pilongas or chestnuts enzarzadas very hard and then easy to eat raw or stewed (typical chestnut soup). 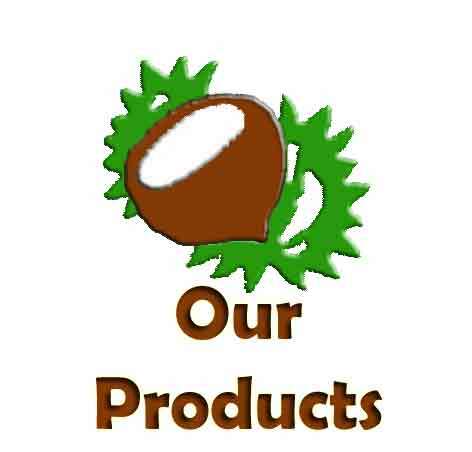 Currently, a large number of excellent varieties of chestnut mountain, is exported to the United States, Brazil, Canada and other European countries where they are highly prized for making jam. The days are shortened and it's cold. Chestnut, and leafless, has become and is drawn in gray fog. Meanwhile, the forest also naked, melancholy meanders between the dark meadows. The shadows are long and become the dreaded frost. 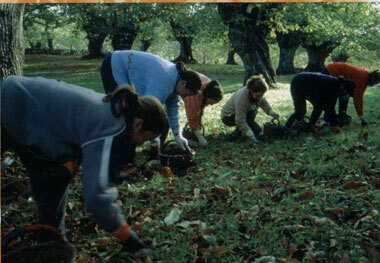 During the winter months peasants perform maintenance work of our forests of chestnut trees. 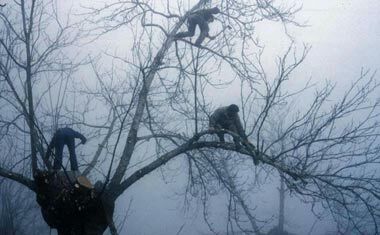 Hands experts shape, with the axe, chestnuts, eliminating all branches unproductive and strengthening health and vitality of the tree.